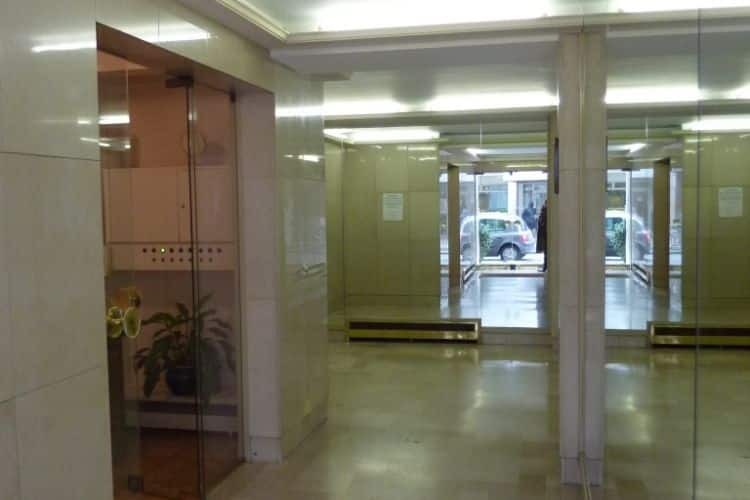 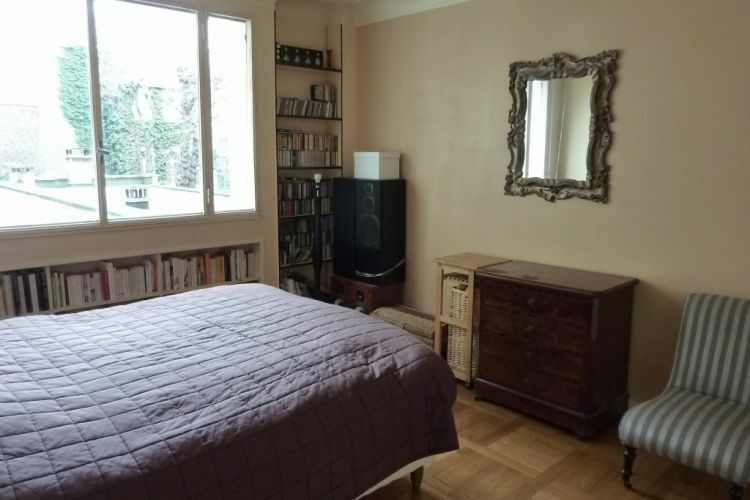 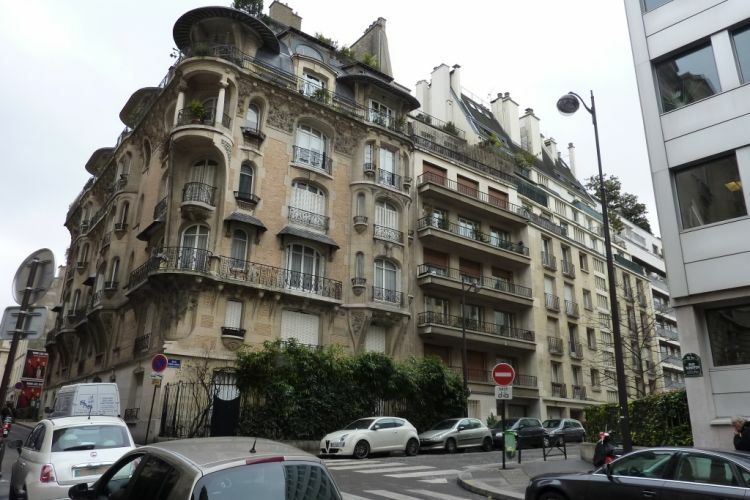 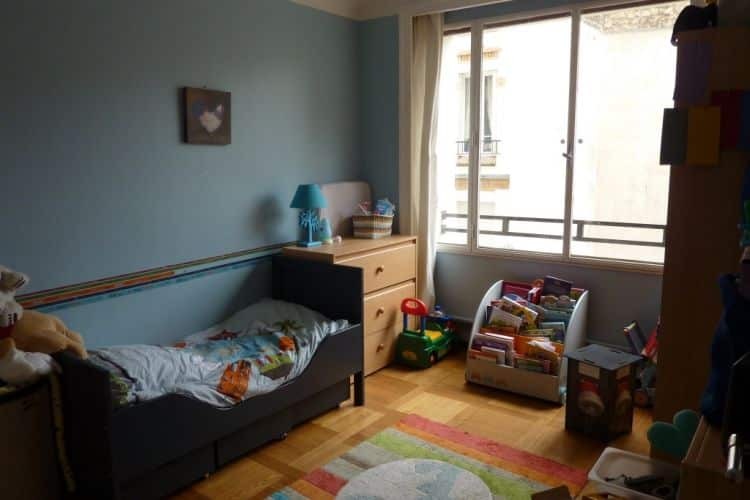 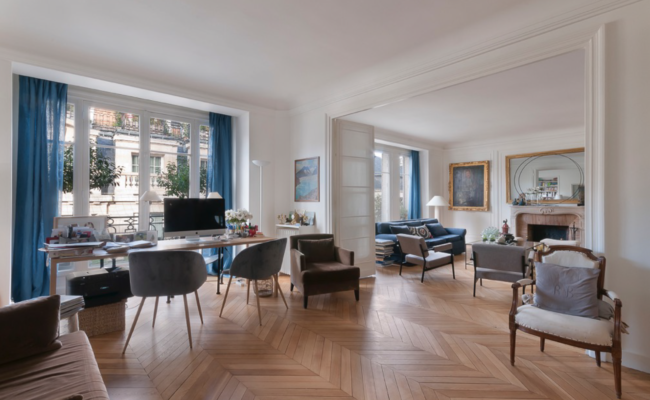 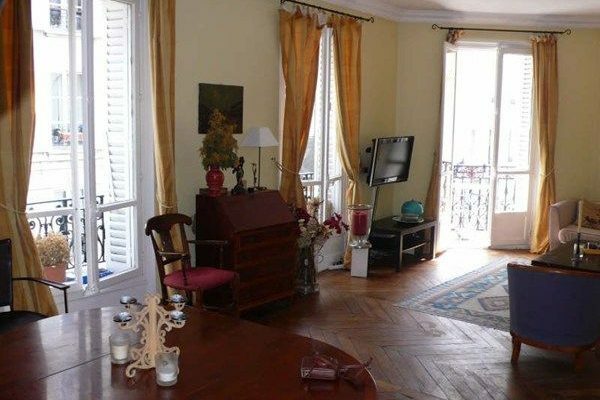 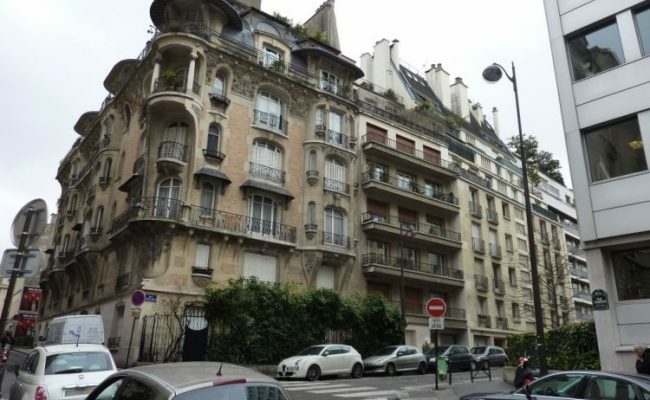 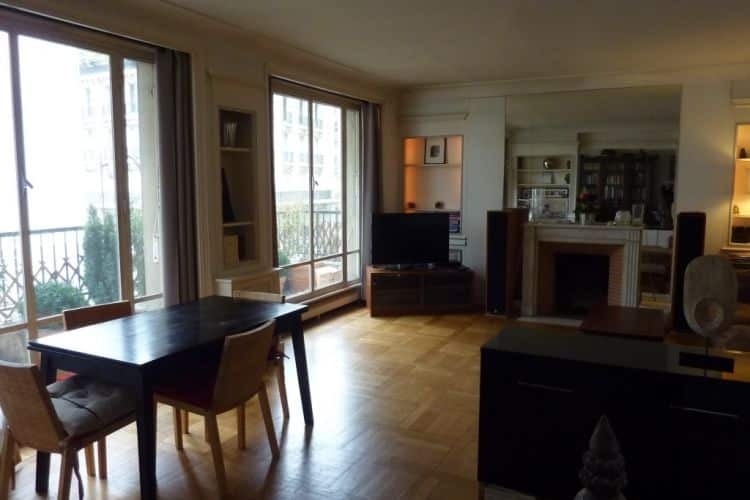 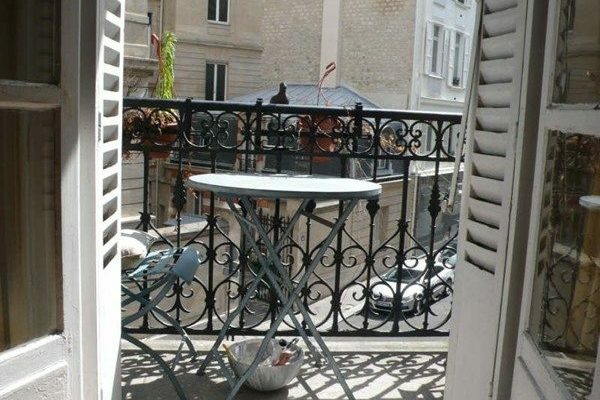 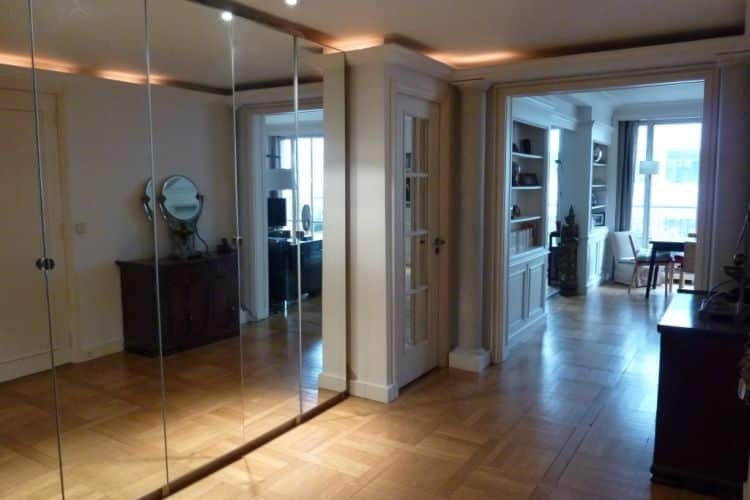 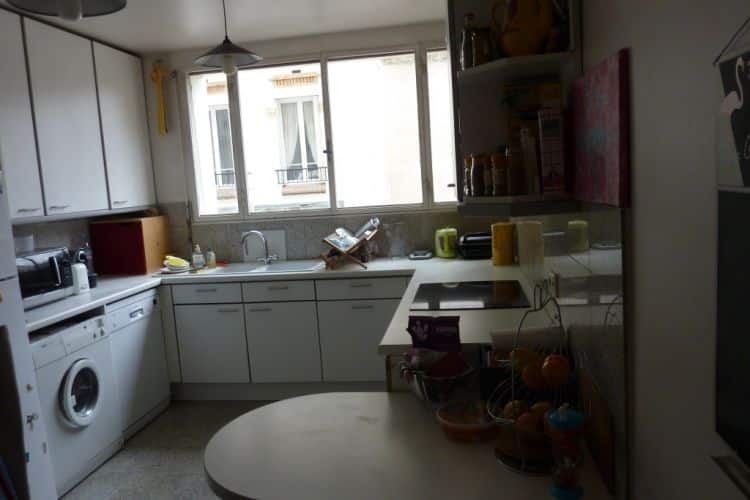 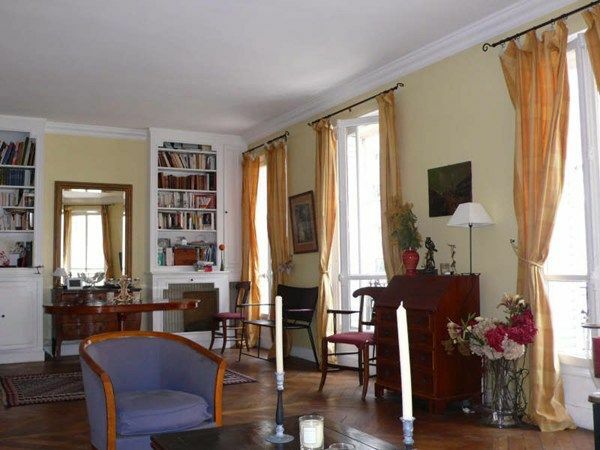 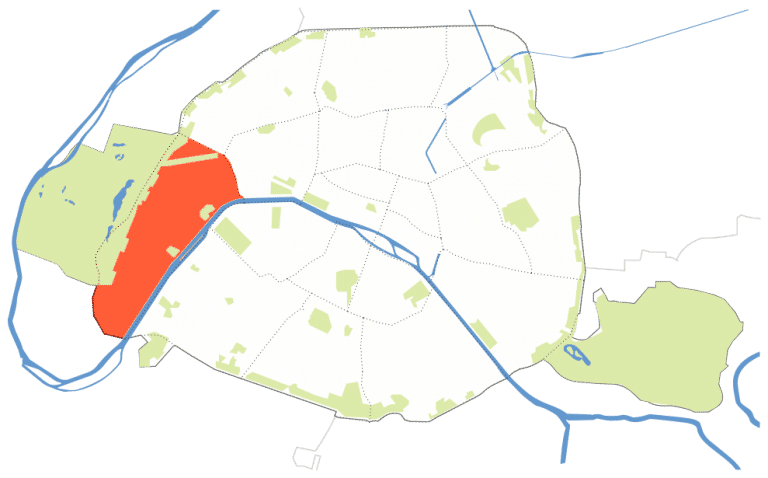 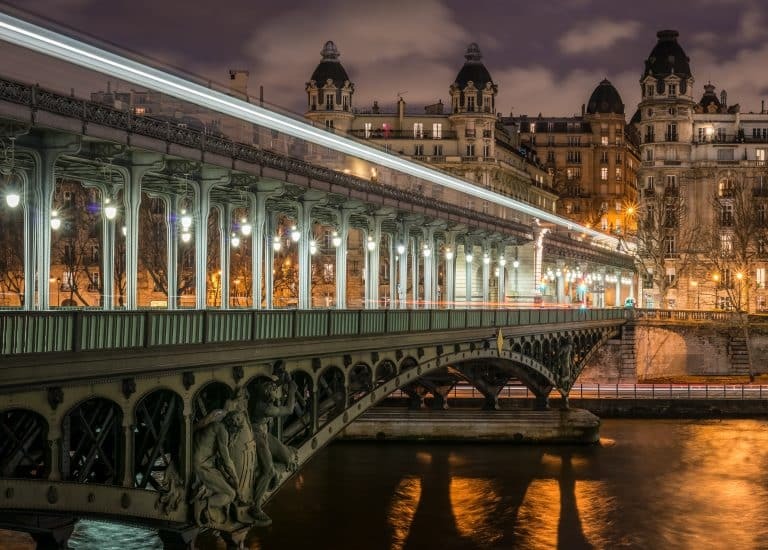 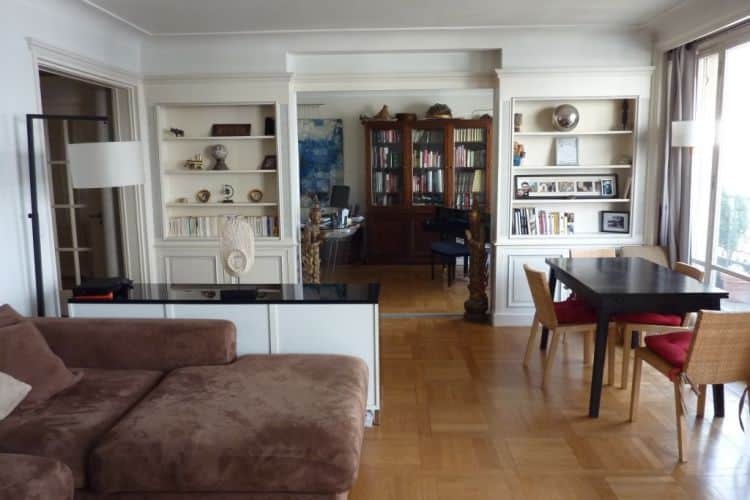 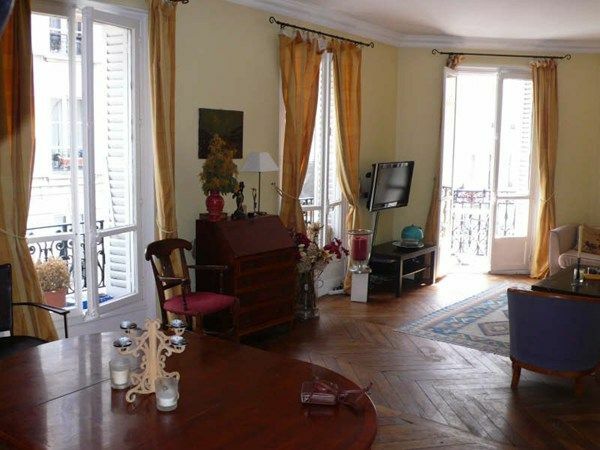 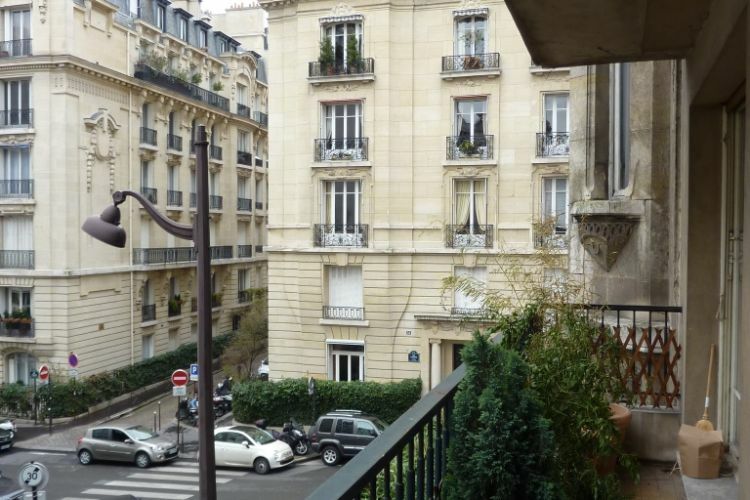 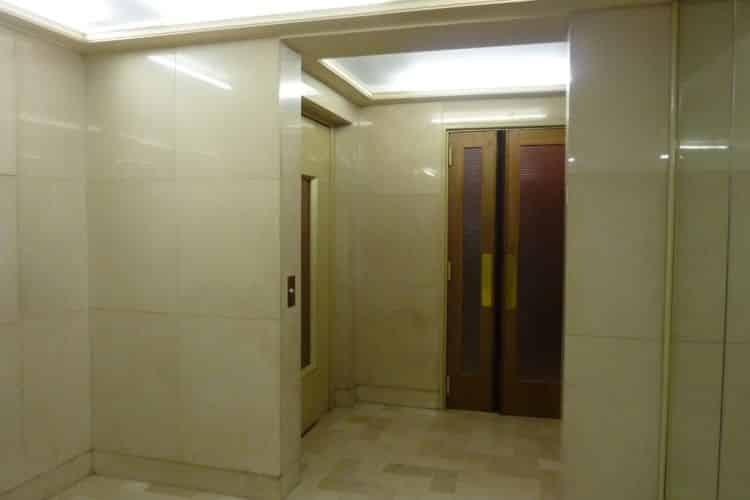 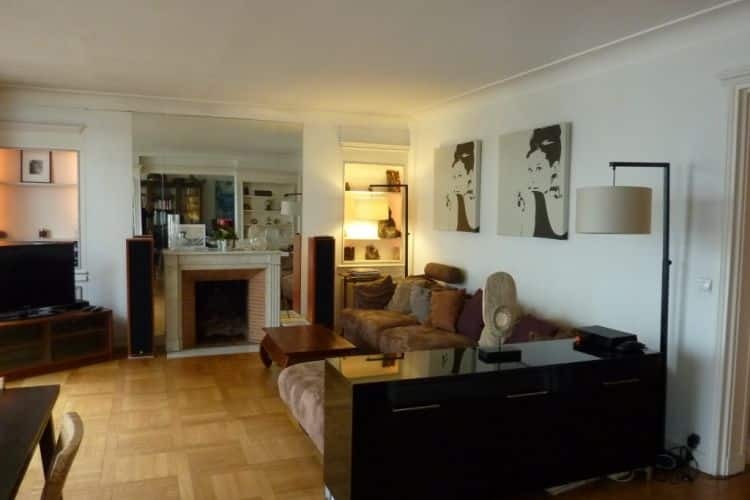 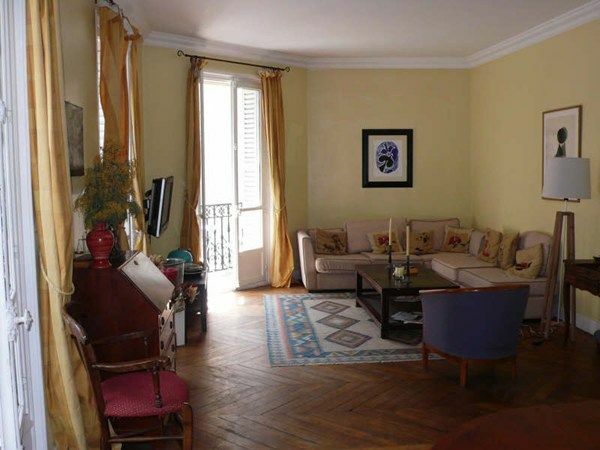 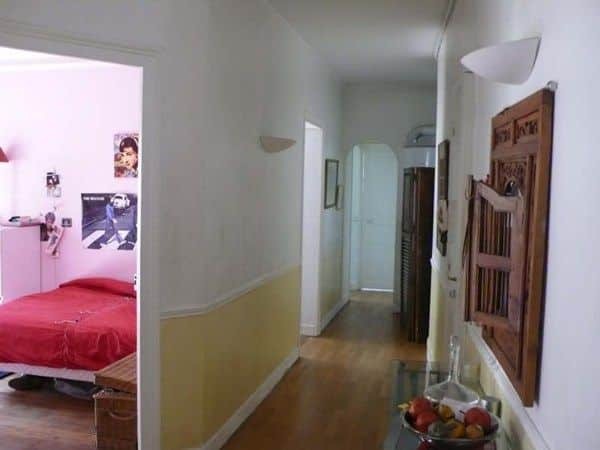 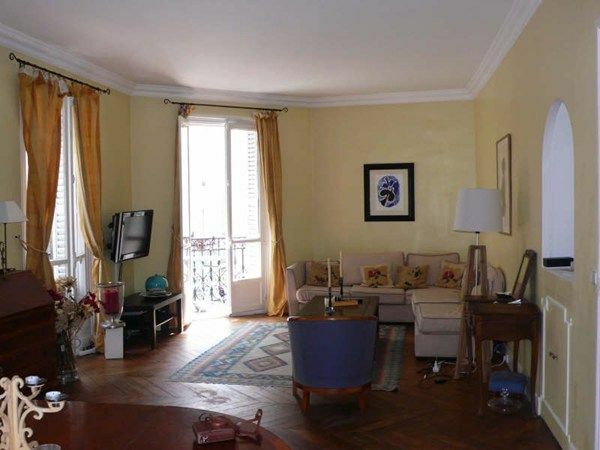 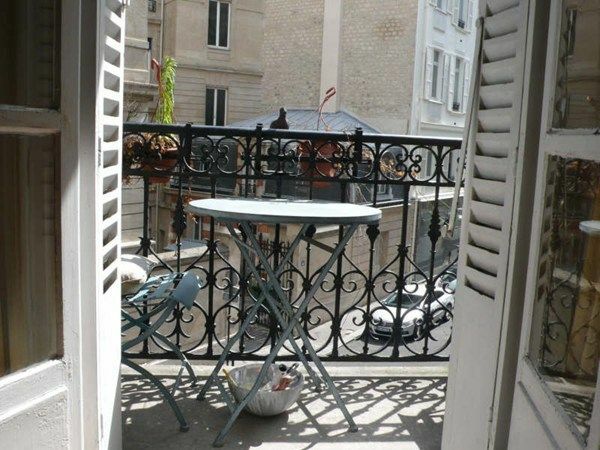 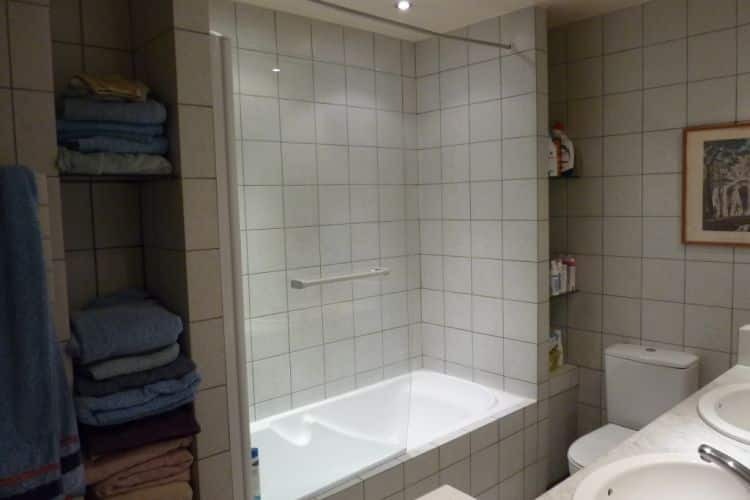 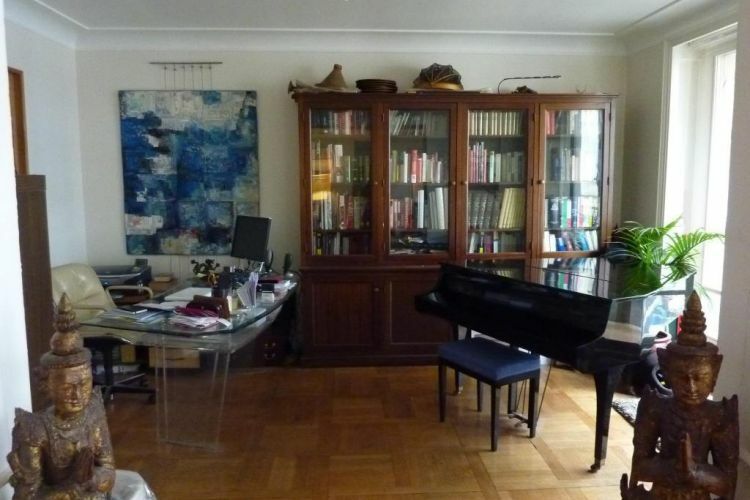 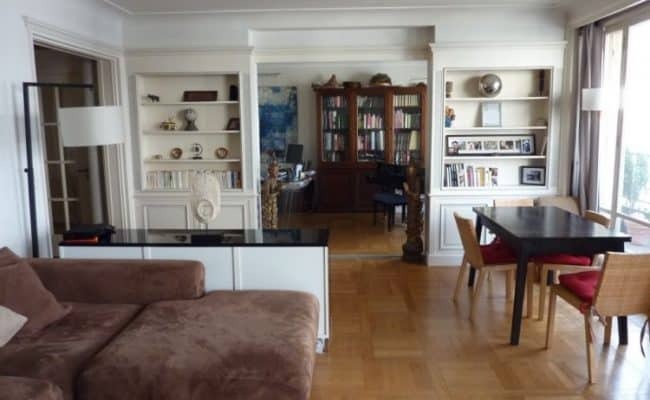 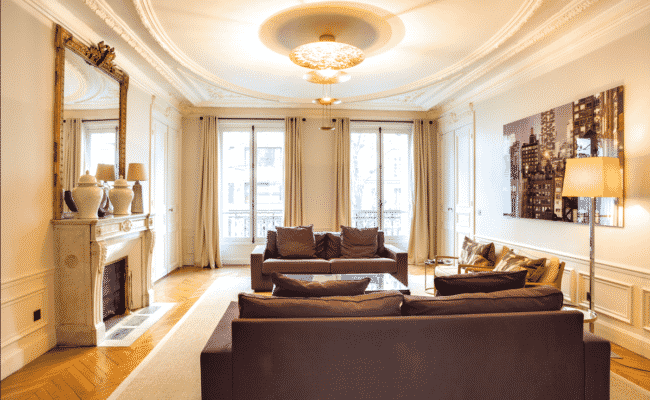 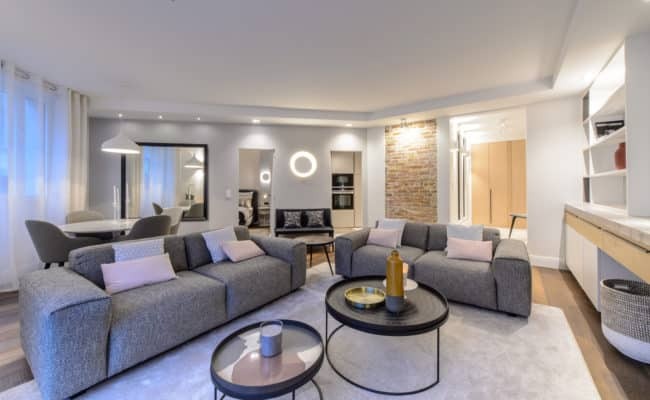 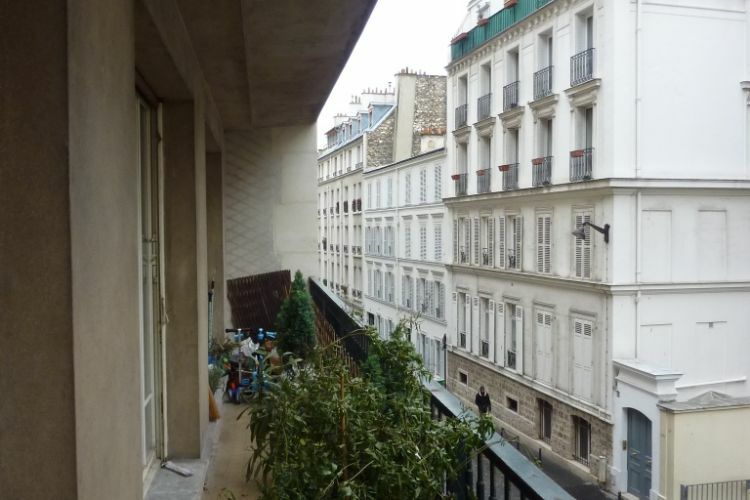 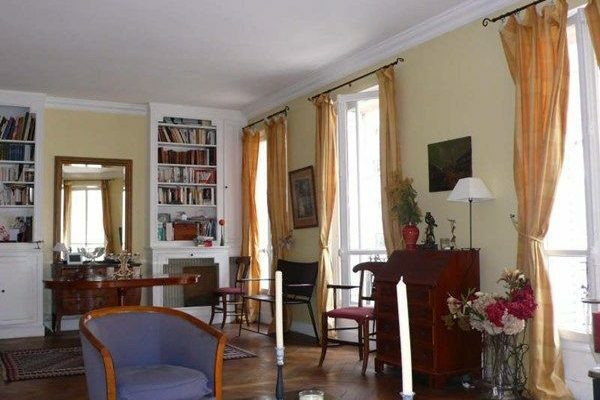 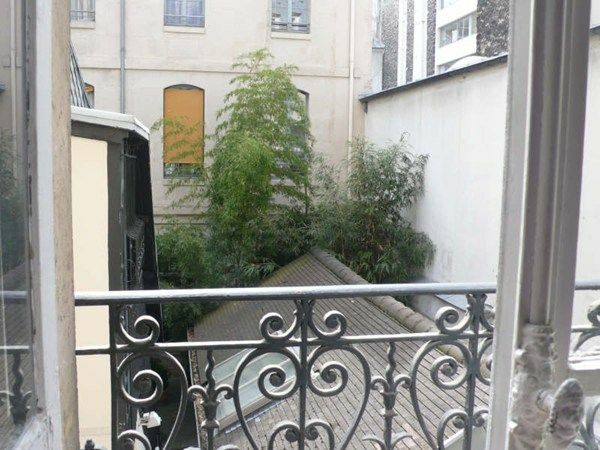 This residential 3 bed, 2 bath is located on the 2nd floor of a well kept modern building right between Trocadéro and the Passy neighborhood in the Northern part of the 16th arrondissement. 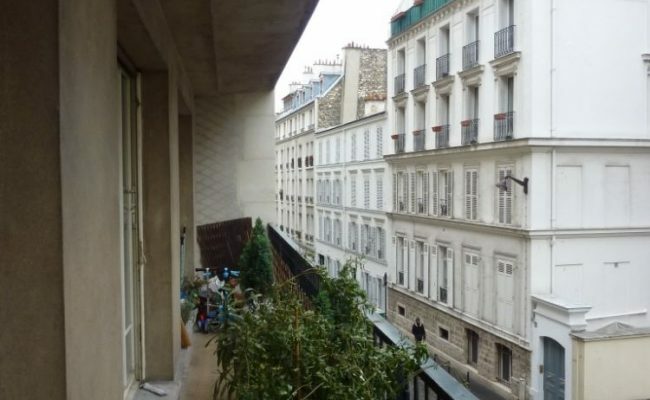 It currently features a spacious entrance, a large living room that opens up to a balcony running all along the building and overlooking the low traffic street, one office (which the initial floor plan foresees as a 1st bedroom with en-suite bathroom) equally opening up to the balcony and low traffic street, two nicely sized bedrooms to the wide and open courtyard, a 2nd bathroom with bathtub, a spacious eat-in kitchen and a guest toilet. 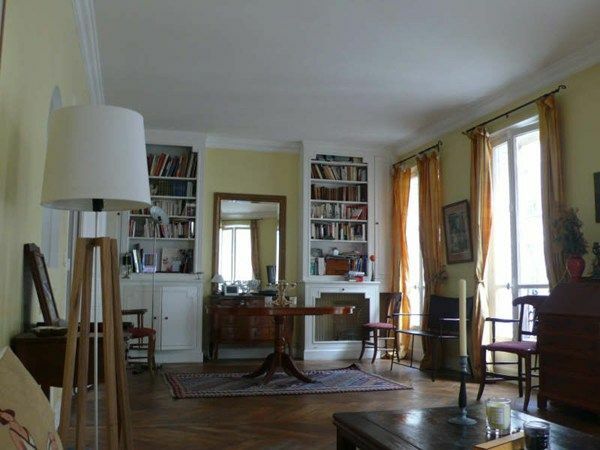 Surprisingly for this kind of construction (1965), this property offers a better ceiling height (2,68 m) than usually to be expected, massive wooden floor parquet, decent moldings and a fire place. 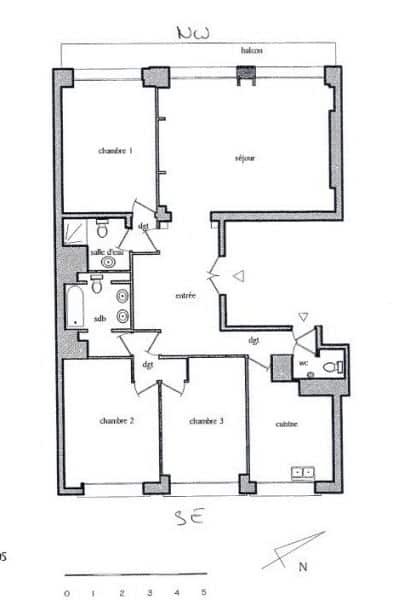 The modular floor plan allows various ways of lay-out (e.g. 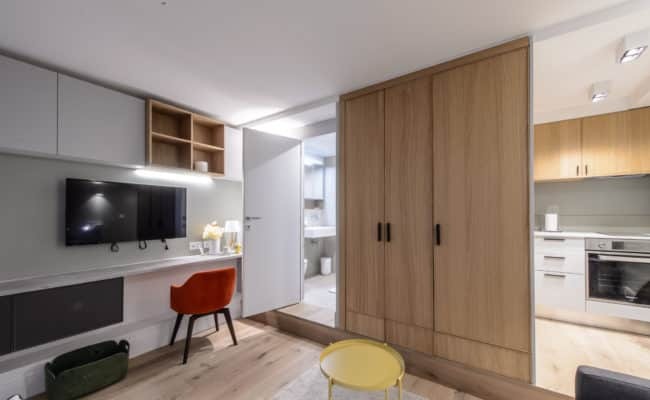 transforming the kitchen into a bedroom, while creating a 42 m² living / dining room with open kitchen). 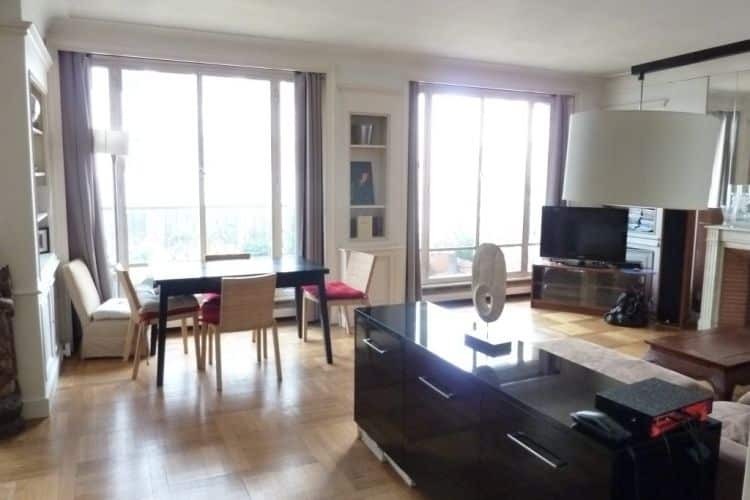 Despite being located on a lower floor, this property benefits from complete absence of noise, a lot of light at every time of the day and fulfills all requirements a family would have when wanting to live in a prestigious and sougt after residential neighborhood.